We have created a new group to support the activities of the team and we need you! There are opportunities for volunteers to join the Support Group. 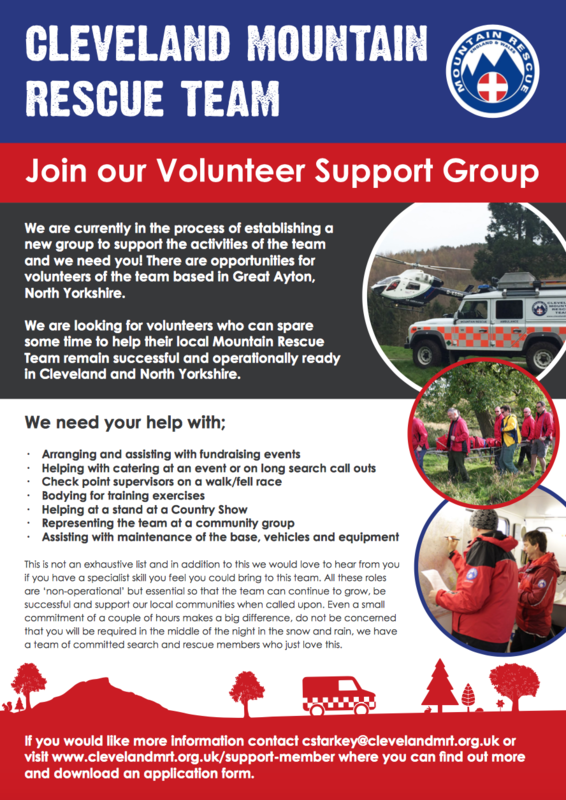 We are looking for volunteers who can spare some time to help their local Mountain Rescue Team remain successful and operationally ready in Cleveland and North Yorkshire. This is not an exhaustive list and in addition to this we would love to hear from you if you have a specialist skill you feel you could bring to this team. All these roles are ‘non-operational’ but essential so that the team can continue to grow, be successful and support our local communities when called upon. 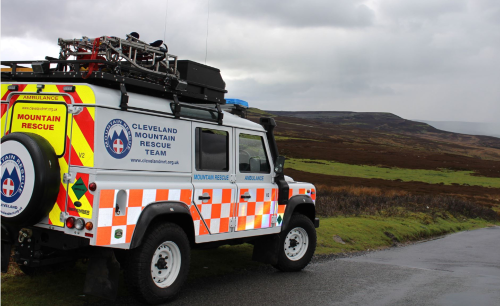 Even a small commitment of a couple of hours makes a big difference, do not be concerned that you will be required in the middle of the night in the snow and rain, we have a team of committed search and rescue members who just love this. Tell us a little about how you could help?